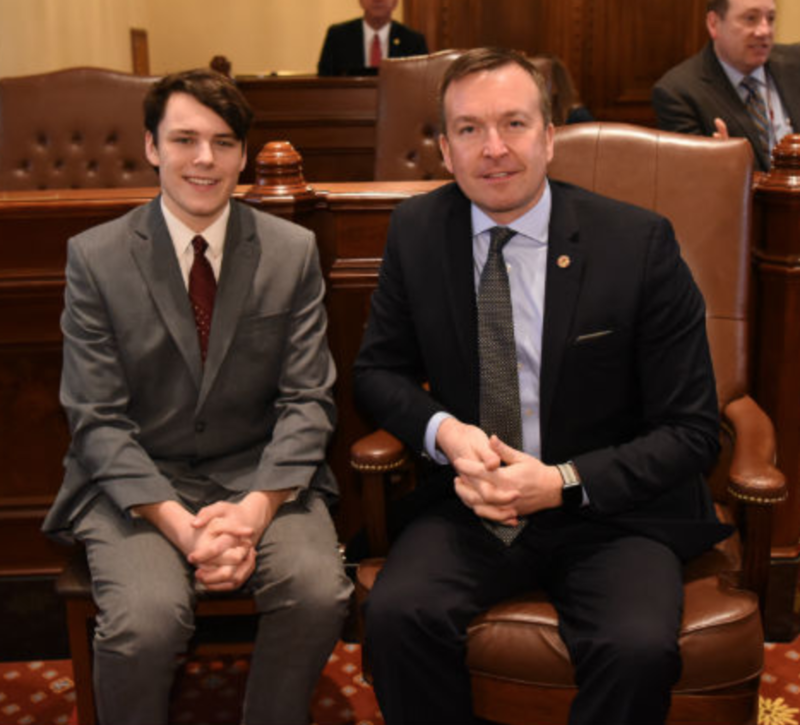 PHS senior Lucas Duduit experienced a day in the life of a senator on Wednesday as he accompanied Senator Andy Manar throughout various activities at the State Capitol. Lucas was selected as the Pana representative for the Future Leaders Program. During his time there, Lucas witnessed a budget hearing, a rally composed of independent pharmacists, and time on the Senate floor while in session. Senator Manar's website hosts the video interview below as Lucas discusses about the impact of rural school programs, such as Pana's Solar Car Challenge, which prompted his post-secondary goal of working with electric vehicles.